What do you think of when you hear the name Colonel Gaddafi? Tyrant? Dictator? Terrorist? Well, a national citizen of Libya may disagree but we want you to decide. For 41 years until his demise in October 2011, Muammar Gaddafi did some truly amazing things for his country and repeatedly tried to unite and empower the whole of Africa. In Gaddafi's Green Book it states: ”The house is a basic need of both the individual and the family, therefore it should not be owned by others”. 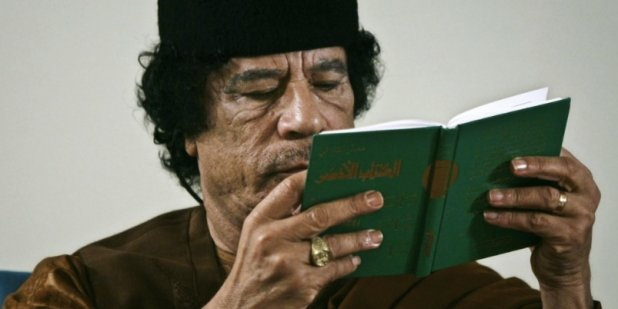 Gaddafi's Green Book is the formal leader's political philosophy, it was first published in 1975 and was intended reading for all Libyans even being included in the national curriculum. 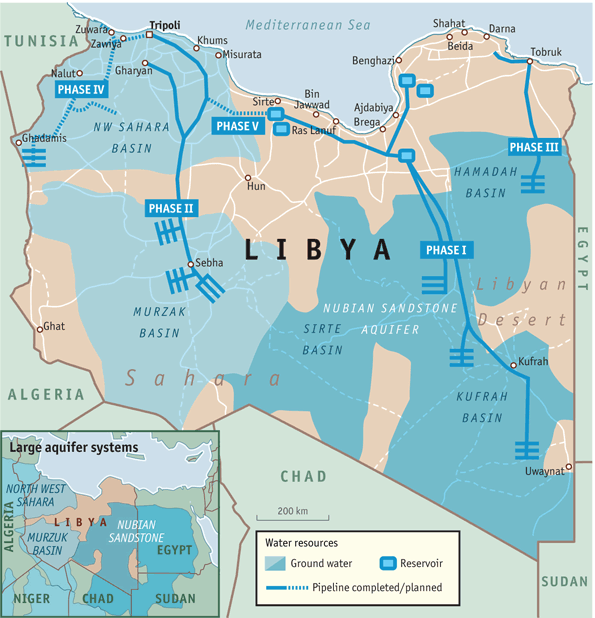 The largest irrigation system in the world also known as the great manmade river was designed to make water readily available to all Libyan's across the entire country. It was funded by the Gaddafi government and it said that Gaddafi himself called it ”the eighth wonder of the world”. 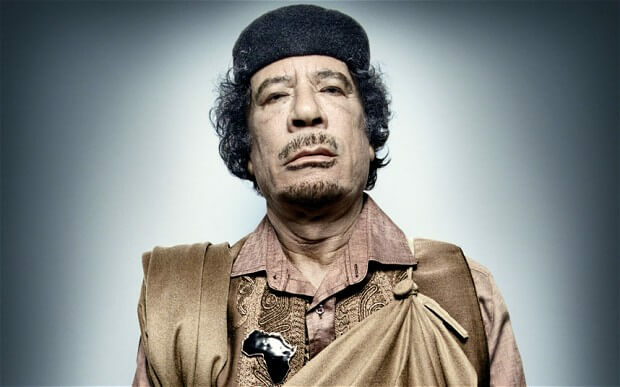 During Gaddafi's reign the price of petrol in Libya was as low as 0.14 (US dollars) per litre. Before Gaddafi only 25% of Libyans were literate. This figure was brought up to 87% with 25% earning university degrees. Libya had its own State bank, which provided loans to citizens at zero percent interest by law and they had no external debt. Before the fall of Tripoli and his untimely demise, Gaddafi was trying to introduce a single African currency linked to gold. Following in the foot steps of the late great pioneer Marcus Garvey who first coined the term ”United States of Africa”. Gaddafi wanted to introduce and only trade in the African gold Dinar – a move which would have thrown the world economy into chaos. The Dinar was widely opposed by the ‘elite’ of today’s society and who could blame them. African nations would have finally had the power to bring itself out of debt and poverty and only trade in this precious commodity. They would have been able to finally say ‘no’ to external exploitation and charge whatever they felt suitable for precious resources. It has been said that the gold Dinar was the real reason for the NATO led rebellion, in a bid to oust the outspoken leader. So, Was Muammar Gaddafi A Terrorist? Few can answer this question fairly, but if anyone can, it's a Libyan citizen who has lived under his reign? Whatever the case, it seems rather apparent that he did some positive things for his country despite the infamous notoriety surrounding his name. And that's something you should try to remember when judging in future. This quirky video documentary spells out an interesting, if rather different, story from the one we think we know.